Riding powder is a lot of fun, not many people would disagree with that. However, it’s not easy at first. When you first start to make tracks away from the piste you’re confronted with conditions that require a change to your riding technique. It’s not uncommon to enter the deep snow, only to have the nose of your snowboard dig in, resulting in a fall; you might even go over the handlebars. Not knowing what you’re doing wrong, you struggle to get back up only for it to happen when you set off again. That can be frustrating rather than fun! So what role does the snowboard play in this? 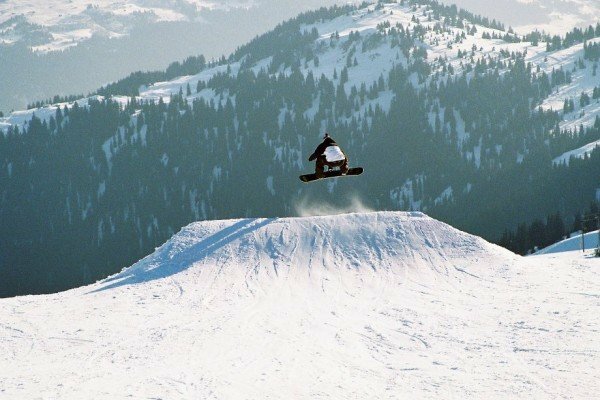 Is it Rider > Snowboard, so just get on with it? Or is it a case of Having the right tool for the job? The skill and experience of the rider. 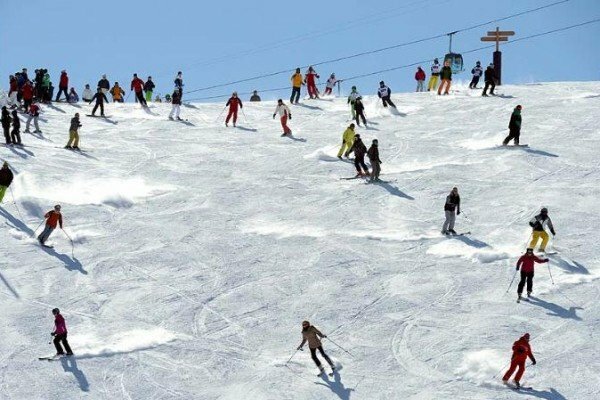 Undoubtedly the skill of the snowboarder plays a big role. A novice powder rider in deep snow on a short, twin-tipped snowboard is going to struggle. No question. At the other end of the spectrum, there are pro-snowboarders pulling all manner or switch tricks in powder, landing switch, slashing switch; whatever they want. If they’re on twin setups, they’re dealing with it. If they’re on directional setups, the moments when they are switch are presumably more ‘difficult’ than if they were on a twin. For more advanced riders – having the “right” board is less of an issue. The “conditions”. The type of snow and the terrain in question also play a role. 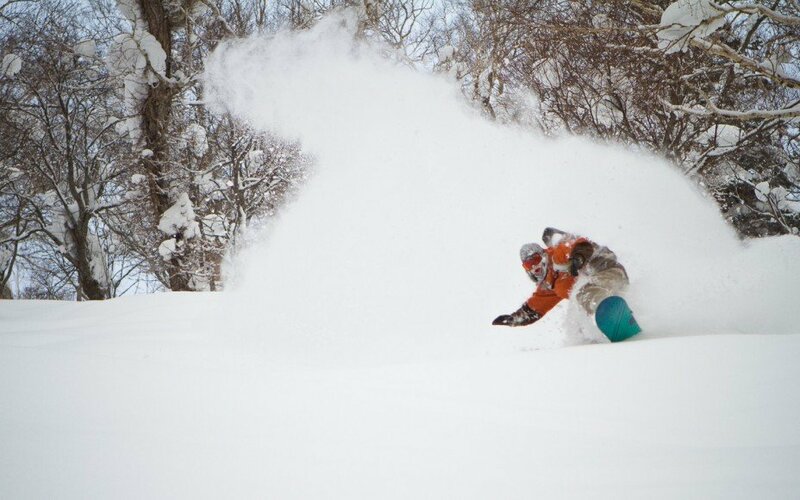 Speed can be an important factor when it comes to keep the nose above the snow. 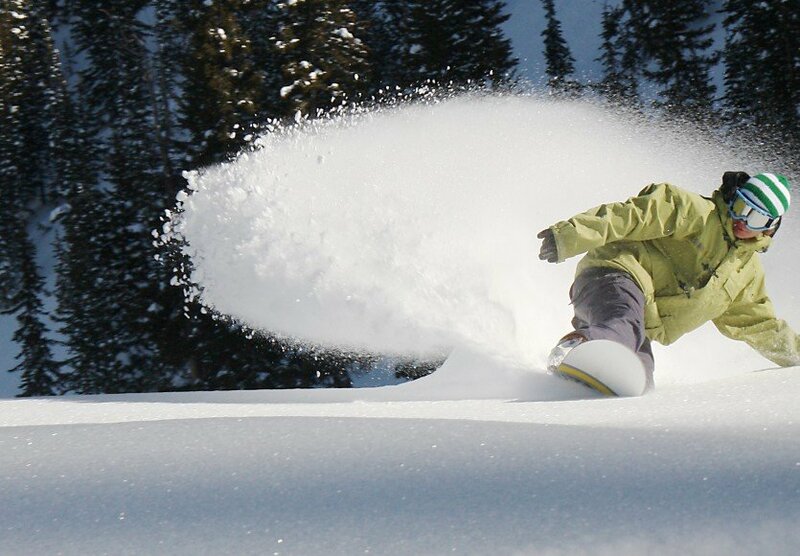 If you’re in powder on a shallow pitch, you’re going to have to work harder to keep the board floating. The “right” board here would help. Similarly the depth of the snow plays a role. You can ride great powder with a good feeling of “float”, even when there’s a degree of support below the fresh stuff. You might not notice it but the tail of the board is prevented from sinking too far down. Change that to deeper snow, say 0.5 – 1m of pure fresh; now there’s no help at all. It’s down to speed, weight distribution (skill) and the shape of the board. There’s little doubt that the “right” board is going to help when riding powder. They’re designed to float well in fresh snow, so it’s fair to say that they’ll perform better than a board that isn’t, like a short jib stick. If you’re thinking about getting the “right” board for powder one of the key choices is between a twin setup and a directional setup. 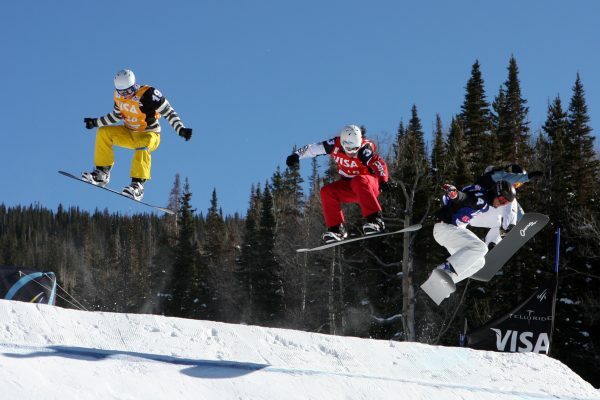 For many snowboarders, riding switch is a big part of their shredding. Chances are, if you’ve got a board that you don’t think is particularly great for powder, it’s probably freestyle oriented, probably twin. So what do you do with your aspirations for riding good pow? Despite my own, switch-principals, I added a directional board to my collection for deep powder days: Getting the Right Powder Board – the Capita Charlie Slasher. If you do want to keep things geared up for riding switch in powder, there are snowboard designs that cater for this. Consider the Salomon Sick Stick – it’s a tapered twin powder board, with “pow rocker”. 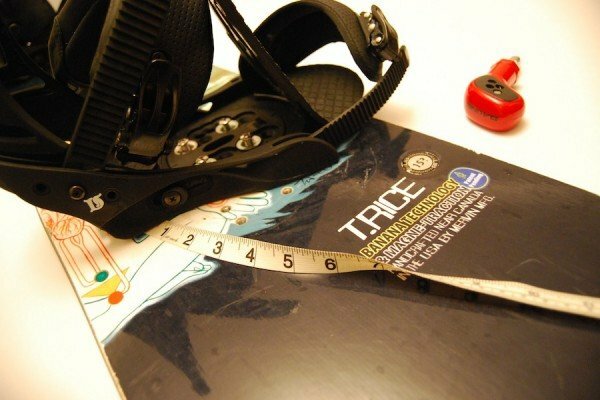 Along a similar line is the Travis Rice Banana Hammock – a twin pow stick designed to have awesome float in both directions. 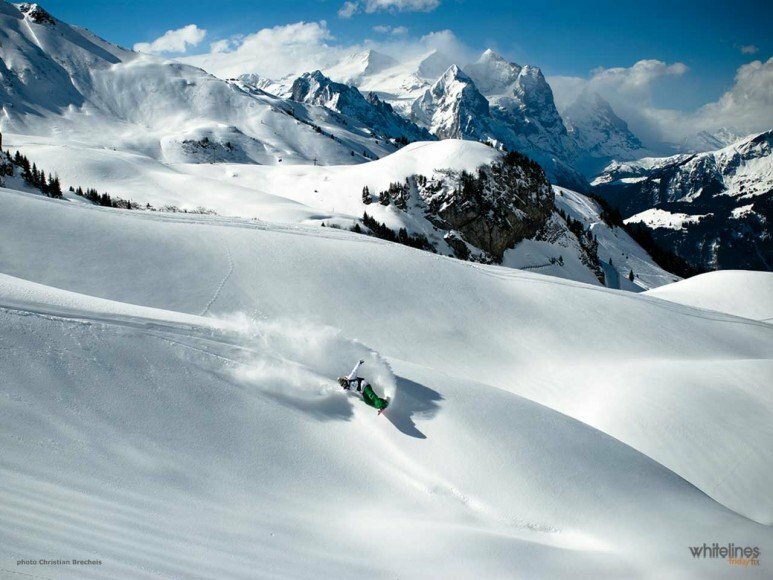 Frustration can be high when learning to ride powder – and it will be felt more if the snow is particularly deep. Without the confidence/technique to ride fast, staying afloat can be hard. A setback stance and a longer board will help. No questions. As above though, better riders can get by with less – because rider skill plays a big part. If it’s an epic powder day – what do you want to be riding? 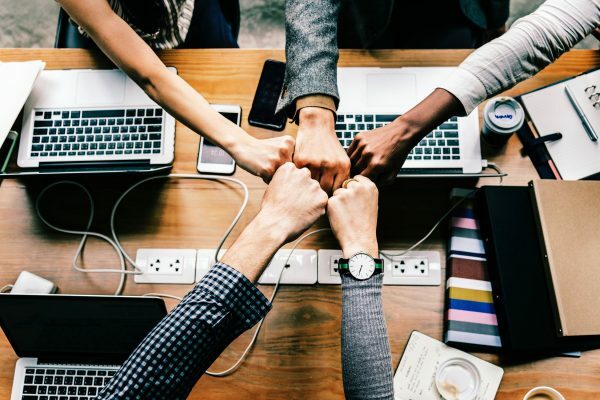 How important is having the “right” board? If you enjoyed this post, you might want to read: How Important Is Having The “Right” Board For Buttering? 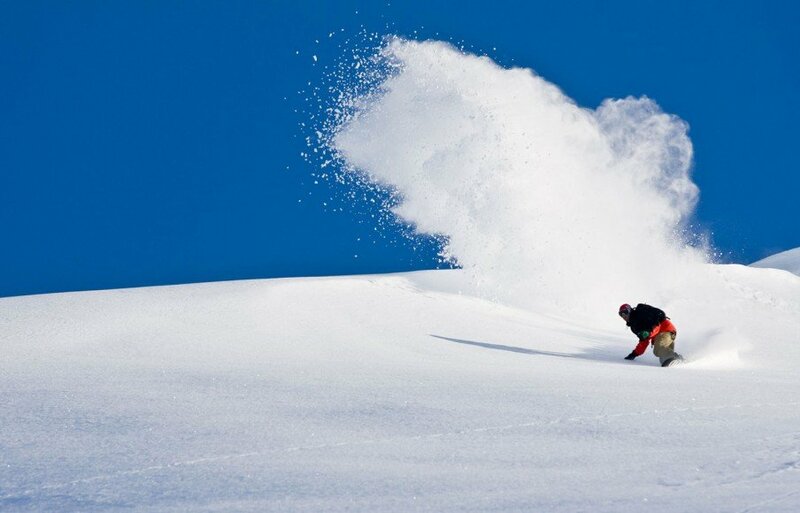 This article is part of the afterbang Guide to Riding More Powder.